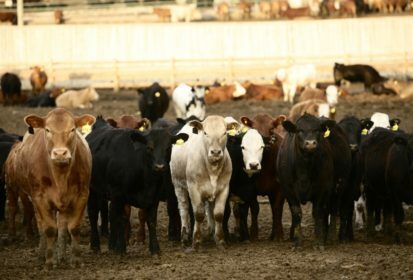 Preliminary results in Alberta beef producers’ service charge plebiscite put a slim majority in favour of keeping their checkoff refundable. Out of 1,874 votes cast, 962 votes, or 51.3 per cent, fell in favour of a refundable service charge model, with 908 for a non-refundable model and four ballots spoiled, according to the preliminary figures from the Alberta Agricultural Products Marketing Council, which conducted the vote. Alberta Beef Producers (ABP), which collects a checkoff on cattle sales in the province, has been required to refund producers’ checkoff funds on request since 2009, when Ed Stelmach’s Tory government required any Alberta agricultural commission to refund checkoff dollars to a member upon his or her request. The current NDP government last year blunted that legislation’s effect when it granted each of the province’s 13 ag commissions the ability to determine whether their respective checkoffs should be refundable or non-refundable. “Our government felt it was important to empower producers to make this choice for themselves,” Agriculture Minister Oneil Carlier said in a statement Monday. The AAPMC this fall held plebiscites for the Alberta Beef Producers and Potato Growers of Alberta on the refundability of their respective service charges. In the PGA plebiscite, 82 per cent of votes favoured of a non-refundable service charge model, Carlier noted. The ABP plebiscite, which originally was to run from Oct. 19 to Nov. 13, was later extended to Nov. 27, as producers cited “challenging” weather conditions which led to delays in harvesting and other fall farm work. “In a democracy, decisions are made by the people who participate and as we’ve said all along, (ABP) will honour the decision made by producers and the service charge will remain refundable,” ABP chair Charlie Christie said. “While we wish the results were in favour of a non-refundable service charge and would have liked to see a higher voter turnout, (the Alberta Cattle Feeders Association) respects the decision of producers that voted,” ACFA chair Ryan Kasko said in the same release. If Dec. 11 passes with no contests, the results of the vote will then be made official, the province said Monday. Since 2009, ABP said, it has received “many” resolutions from producers at fall meetings and ABP delegates at general meetings pressing for a non-refundable service charge. ABP and ACFA had reached an agreement earlier this year to support a checkoff plebiscite, on the condition that part of a non-refundable checkoff would go to create an industry development fund. A non-refundable checkoff had been expected to make $1.4 million available for such a fund.